Playgrounds, Parks and much more!" Skating, inline blading, and BMX biking are hobbies and sports enjoyed by people all over the world, and no matter which city you are in, you’ll find skaters defying gravity on any kind of surface and incline they can practice on. 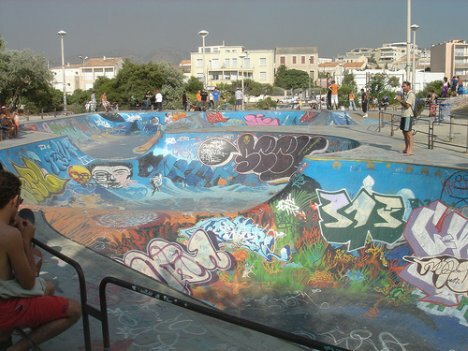 The growing popularity of these sports has created a demand for the creation of skate parks, designed specifically with skaters in mind. There are so many skate parks all over the world, so we’ve narrowed it down to the ten best skate parks, based on their appearance, design, and intensity level. These skate parks will make you want to travel to these locations so you can check them out yourself. This park practically demands attention. It is the world’s biggest skate park with the world’s biggest ramp and the biggest concrete bowl, with features including fullpipes, bowls, handrails, stairs, and hubbas. It’s not just its name that inspires awesomeness but also its features. 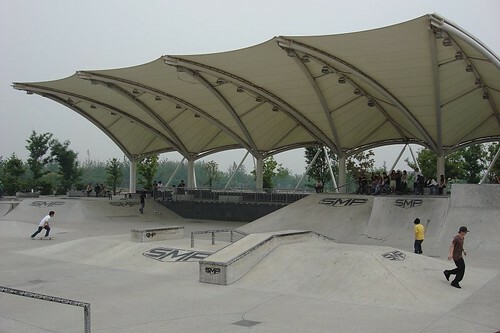 This is the largest outdoor skate park in the world and includes courses for beginner, intermediate, and advanced skaters. Touted as one of the nation’s best skate parks, we’d have to agree. The design of this park not only balances street-style, transition style, and vert but also includes a 24-foot full-pipe. Totaling at 68,000 square feet, this skate park is the largest one in California and features the world’s largest cradle, the tallest vert wall, and the largest full pipe. This skate park has an award-winning design created by local architect and professional skater Janne Sarrio. The aesthetic of this design is not only visually appealing to the regular citizen but it is also a natural street spot for skaters. Though this park is exclusively for skateboarding and inclines, the design is awe-inspiring, with features including bowls, quarterpipes, stairs, and much more. 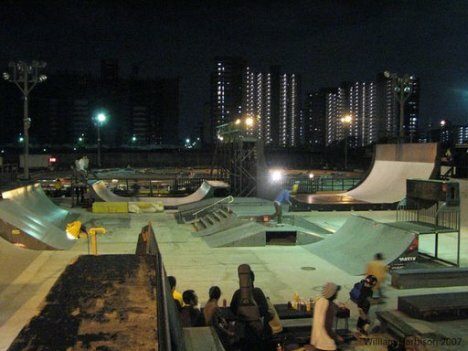 This is an outdoor skate park that even has a café for skaters in need of a break. This is a street-style skate park with a scenic vista. Its design includes many features seen in urban landscapes, like handrails and steps. Famous for its appearance in Tony Hawk video games and skate magazines, this is a covered outdoor skate park that features bowls, quarterpipes, vert walls, and much more. Don’t let the graffiti fool you. This skate park is both beautiful and large, attracting skaters from all over the world to practice their moves on its various bowls and verts. This park has almost everything a skater could want in a park, including huge half-pipes, rails, stairs, and much more. The park is also open 24 hours a day, turning on its lights at night so that skaters can practice at all day, every day. Is Poured-in-Place Rubber Safe for Playgrounds? Which Paving Stone Should You Choose for Your Home?